Although cultured pearls are a natural gemstone, many pearls receive significant processing before they are sold to consumers. Cultured Tahitian pearls are the beautiful exception. These pearls delivered to buyers are almost exactly the same as they were when harvested. This is because, unlike other varieties, cultured Tahitian Pearls do not require bleaching or coloring to create their dramatic effects. Although common, pearl processing has its risks. Cultured Tahitian pearls are less likely to suffer from damaging surface blemishes caused by intensive processing, such as cracks and chips. This leads to a more durable pearl, and possibly a higher value. Tahitian Pearls can skip the extra processing because these varieties of pearls already contain rich enough colors that they do not need the extra help. Cultured Tahitian pearls only require cleaning, drying, and light polishing after harvesting. While many pearls naturally create black varieties, only the cultured Tahitian pearl can do so without additional processing. These pearls are actively traded in Tahiti. Additional colors can also be found in the waters surrounding French Polynesia. 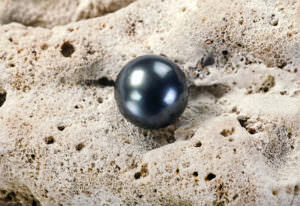 Natural black pearls are extremely rare and considered highly valuable. Tahitian pearls come in a variety of colors outside of black. These can include rich shades of blue, deep shades of green or even a majestic purple. You can even find intense shades of silver. 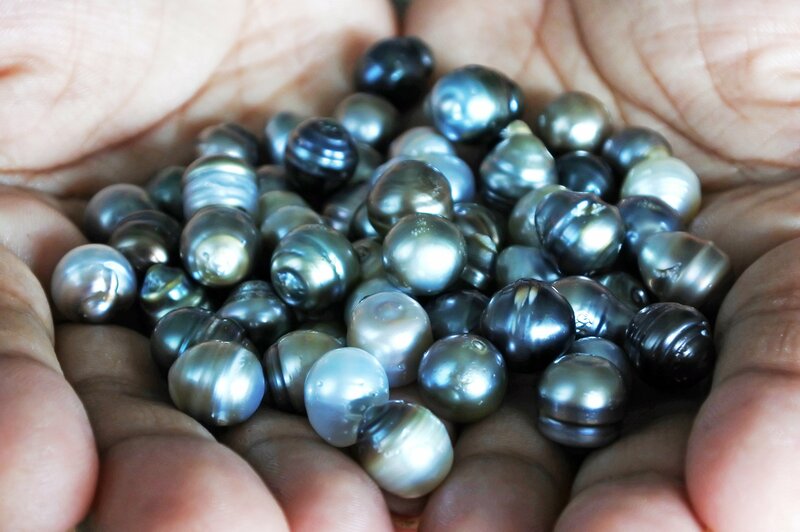 Tahitian Pearls are a great example of why pearls are graded on a variety of characteristics. A single characteristic does not determine the value of a pearl. Whereas other pearls are known for their shape or luster, Tahitian Pearls are widely known for their pearl color. 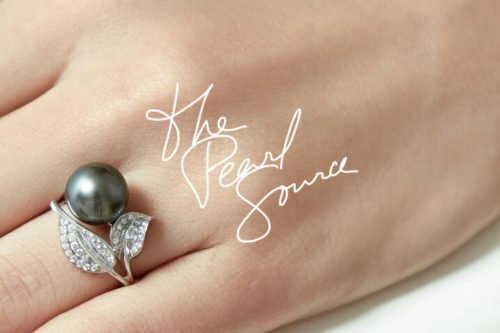 This characteristic, (as well as their minimal processing) increases the value of cultured Tahitian Pearls and makes them stand out among other saltwater pearls.